Levi Strauss & Co. was founded in 1853, at the peak of the Gold Rush, in the untamed west. To this day, their brand still reflects that, as a pair of Levi’s jeans symbolizes rugged individualism and a bias toward adventure. Interestingly, as well as it being the brand story, it’s also the story behind the brand – Levi’s culture also rewards new ideas, individualism and gumption. Partly for that reason, in 2017 the company had no real centralized learning and development team, and there was no company-wide training program. If employees did get stuck, they were forced to find their own means (Google, YouTube, etc.) to figure it out. While Levi’s has always valued internally mobility, there was no tool to help employees learn the skills they needed to advance to the next level. Levi’s is an international company. With no single learning platform, employees across the globe were having wildly different learning experiences. Raubitschek and her team wanted to change that by investing in an online learning solution that would solve all their needs – provide that just-in-time learning while also supporting those bigger employee goals, like taking the next step into management. And, they wanted something that could scale globally, so all employees would have the same opportunity. So, they started researching. After looking at 20 platforms, Levi’s elected to go with LinkedIn Learning. The results have been fantastic. The company rolled out the platform to all 5,200 salaried Levi employees on Oct. 8, 2018. As of Feb. 1, 50% of employees have activated their license, completing an astonishing 23,000+ videos. It’s also saved Levi’s a “significant amount of money” in certifications alone, according to Raubitschek. So why did Levi’s choose LinkedIn Learning, over the 19 other learning platforms they researched? Yes, it had the content. Raubitschek and her team were already familiar with Lynda.com and knew about the strong course library LinkedIn Learning offered. But the deciding factor was that Levi employees already knew and used LinkedIn. Since their main goal as an L&D team was to get a learning platform people would actually use, it made sense to pick a tool that was connected to a platform (LinkedIn) employees were already using. And therefore, they’d be much more likely to use LinkedIn Learning. Levi’s made the decision to test LinkedIn Learning in mid-2018. But, they wanted to see if employees would really use it. So, they piloted it with 500 employees. And, to make it a true test, Raubitschek didn’t game the system. In fact, she intentionally piloted it with two employee sets – an IT group and a global merchandising group – that were both extremely busy and arguably the least likely to use it. Levi’s L&D team also didn’t overly promote LinkedIn Learning during the pilot. They wanted to see if people would use it naturally, instead of “bribing” people to use it, Raubitschek said. So, how did the pilot go? That made the decision easy to invest in LinkedIn Learning for all 5,200 Levi salaried employees. But the pilot provided another benefit as well – it helped inform best practices for the company-wide rollout. For example, some people were unsure how to get started on LinkedIn Learning, so the Levi L&D team created a video on where to start with the platform. The L&D team also learned about what courses best resonated to whom, which helped sharpen their course recommendations. There’s a theme. Each month, the learning offerings in the newsletter unite under one theme. For example, January is review season, so the newsletter features LinkedIn Learning courses and videos on how to set great goals. Learner success stories. Along with learning offerings, Van Brunt often interviews an early adopter of LinkedIn Learning and puts their story in her newsletter. She asks them, among other questions, how they fit learning into their day and the value they’ve gotten from LinkedIn Learning. For the LATAM team, a particularly clever “learning passport” program. Talk about gamification. 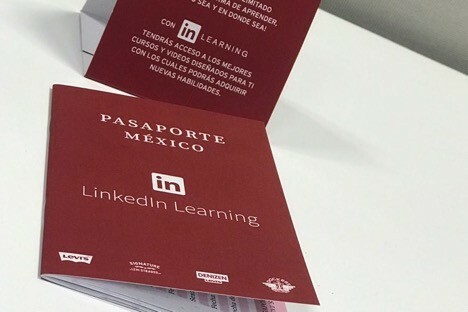 To promote LinkedIn Learning, Senior HR Advisor Rene Carranza created and delivered a physical “learning passport” to each employee in the Mexico office and distribution center. Then, when an employee finishes a course, they get a stamp in their passport (similar to a real passport, where you get a stamp for each new country you visit). This has gotten competitive among employees and has driven strong adoption of LinkedIn Learning. What are the results of LinkedIn Learning so far? It starts with the engagement. The usage of LinkedIn Learning at Levi’s is far above industry benchmarks for activation and engagement at this point for any learning tool, as employees are flocking to the platform. 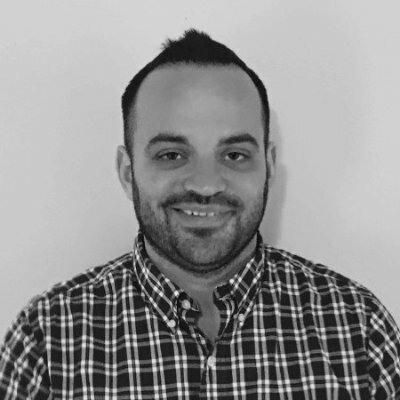 Raubitschek talks about LinkedIn Learning solving for those two needs for employees globally – the “oh crap” moments where someone has to learn something at the moment, and the bigger career development pushes where people learn over the long term. There’s a third benefit as well – LinkedIn Learning has empowered Levi’s L&D team to be more agile. Instead of hearing of a need and spending weeks developing a course, the Levi L&D team can now quickly create a collection of courses and immediately fill it. That also gives the L&D team more time to focus on more strategic ventures, too. Like continuing to develop world-class managers, a focus for the organization as a whole. Bottom line, Levi’s culture still maintains the Wild West attitude instilled by its founder Levi Strauss, where individualism and risk-taking are encouraged. LinkedIn Learning has only further bolstered that, as it provides a means for employees to learn the skills they need to accomplish the truly remarkable.